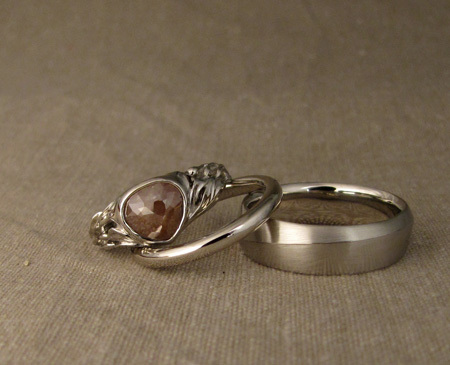 I was terribly excited to get to make wedding rings for an old friend of mine from high school + her man. She is a diver and chose a flowy kelp motif with a peachy-hued rose-cut diamond. Fun to carve! Congratulations, Kim & Jeff!